As a chartered physiotherapist I have sent several of my clients to The Pilates Studio. Having attended there myself for the regular mat class, prenatal class and mum and baby class I know that the sessions are very well structured, thought out and delivered. I find Lindsay to be very knowledgeable and an excellent teacher. 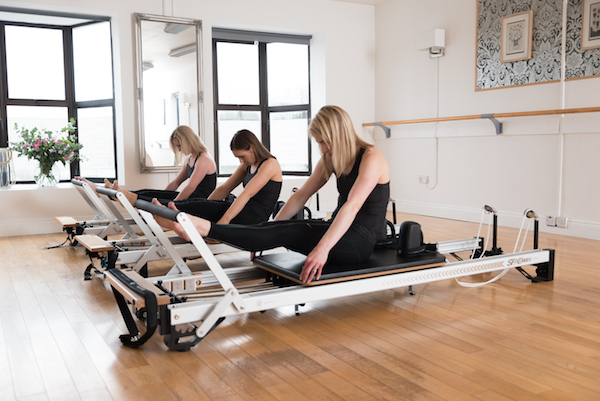 To me the studio is particularly useful when someone is at the end of their physio treatment and needs the conditioning to be gained from Pilates. I have a good working relationship with Lindsay and we are in touch quite often about clients that I have sent to her. I started classes with Lindsay in January of 2016. I was advised by my physio to try Pilates following a serious disc injury. Before starting the classes I met with Lindsay at her studio to talk about my injury and what type of Pilates would best aid my recovery. It was great to meet up and chat face to face to allay any fears I had about injuring my back any further. She advised me to do reformer Pilates. I found Reformer Pilates to be perfect for my rehabilitation. It's low impact and I always felt very safe doing the exercises thanks to Lindsay's directions. I felt more confident with my back after each class. It was just me and Lindsay in the class and she would use the reformer machine beside me to show me each exercise. Each week Lindsay would add different moves to each class which gradually improved my core strength and flexibility. I have and would encourage anyone to do Pilates in the Pilates Studio in Midleton whether it is to recover from an injury or to get fit.